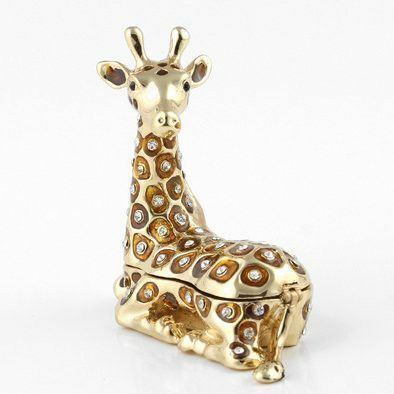 The 24-carat gold plated giraffe trinket box is adorned with hand-placed Swarovski crystals. 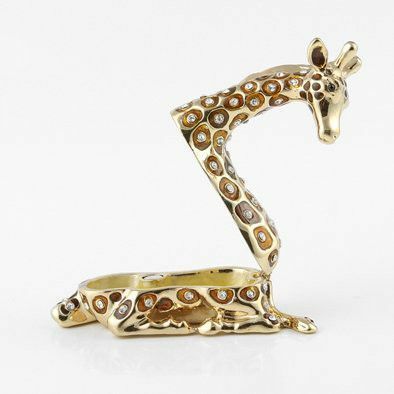 The giraffe opens easily and closes firmly thanks to a magnetic clasp. This giraffe comes with its own satin-lined gift box. Great as a piece of decoration, or to hold small items.